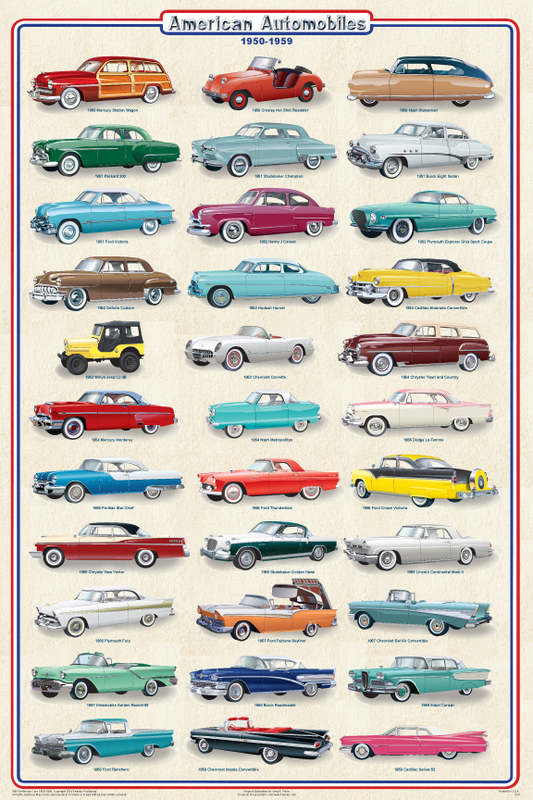 Remember the Crosley, Hudson, Studebaker, Packard, Pontiac, Nash, and the original Jeep? All are now long gone. On the other hand, the 1950s saw the introduction of the Corvette, Thunderbird, Edsel, and Ford’s Fairlane Skyliner, its remarkable, but short-lived, hardtop convertible. The second half of the 1950s was the age of the tail fins, and many great examples are shown.